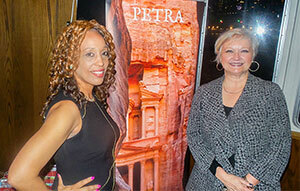 Jackie Bishop Martin (l) and Avril Matthews provided an update to Toronto agents on Jordan’s varied attractions. Visit Jordan says people shouldn’t assume that Jordan’s unsafe because of what happens outside its borders. Visit Jordan Canadian representative Avril Matthews says violence is a common occurrence in bordering countries, but not in Jordan itself. “The people of Jordan literally say they have noisy neighbours,” she told a recent Toronto gathering. Jordan, in turn, is “like a peaceful oasis,” she added. Matthews, who visited Jordan last year, said its capital is a “real blend of old and new,” with Amman attractions including a Roman ampitheatre. Matthews said tourists can “spend weeks” exploring storied Petra, while Wadi Rum’s desert landscapes appeared in the Matt Damon movie The Martian because they “look like Mars.” Tourists can overnight in Bedouin-style tents in Wadi Rum, with “glam” camping available. Matthews added Biblical sites are common in Jordan, including Mount Nebo, from which Moses is believed to have seen the Promised Land. The new Jordan Trail can be a 36-day walk through the country, with shorter segments available. 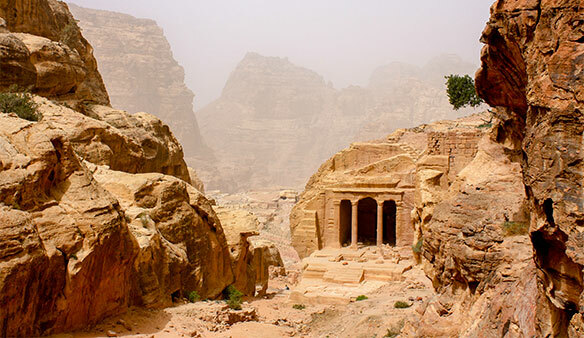 Bishop Martin said her company can provide both private and customized Jordan tours. Both Bishop Martin and Matthews praised Visit Jordan’s Jordan Specialist Program, saying it provides valuable insights into Jordan.